California is poised to instantly create the country’s largest marijuana market when it begins legal sales of recreational cannabis products on January 2, 2018. Being the largest marijuana market comes with other, more dubious distinctions, as well. The Sacramento Bee reports that 75 percent of the total numbers of indoor plants seized by the United State Drug Enforcement Administration in 2016 were taken from California. This figure does not include those plants seized by state and local authorities. These numbers are also significant: according to U.S. News and World Report, a single crackdown in Calaveras County resulted in the seizure of 27,000 plants over four days. CBS Sacramento reports that thirty-eight pounds of marijuana were seized in one arrest on the I-80.The defendant was arrested north of Lake Tahoe, and eventually booked into a Nevada County Jail on three counts of narcotics trafficking. Interestingly, the 2016 number was more than double the number of indoor plants seized by the D.E.A. in California in 2012. So why have indoor grows increased so quickly in California? According to a D.E.A. report, indoor production has two key advantages: it does not rely on outdoor climate conditions or growing seasons, and it is more difficult for law enforcement officers to discover that open outdoor grows. Outgrow grows can cause other legal complications, too: many outdoor grows in California have been conducted on federal lands. Marijuana is entirely prohibited on federal lands. No state permit, license, or compliance can protect a defendant from being prosecuted under federal law if he or she grows marijuana on federal lands within state borders. What About the Lawful Grows? Of course, there are many growers in California who are operating lawfully. State law allows for the operation of cooperatives and collectives which grow medicinal marijuana. 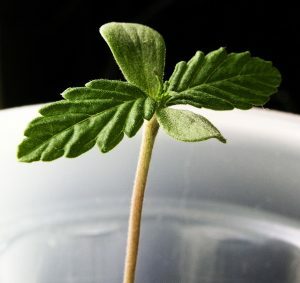 Both the existing compassionate use law and new recreational use law allow for individuals to cultivate a small number of plants for personal use. So long as this growth is conducted in accordance with county, city or other local regulations, it is considered lawful. This does not, of course, mean that legal growth will not be the target of law enforcement investigations. Many of these investigations can be resolved simply by providing proof of permits, licenses, and compliance with other applicable regulations. Unfortunately, others are drawn out for months. These can result in many hours and thousands of dollars spent trying to resolve criminal charges. Worse, it can result in the seizure of not only marijuana, but cash and other assets, as well. Many prosecutors’ offices are dilatory in releasing this property upon the close of an investigation. In many cases, the defendant must file a separate civil lawsuit simply to reclaim the property. If you have been the subject of a criminal investigation or seizure of assets, contact an experienced Los Angeles marijuana criminal defense attorney as soon as possible. You have constitutional rights which must be protected in the criminal justice system. You also have the right to seek the return of seized assets through the civil courts.